Sneak Peeks of the 9th episode of season 30, titled “Daddicus Finch”, have been released by FOX. The episode airs on Sunday, December 2, 2018! Review: Clowns and TV Recaps in a hilarious episode! 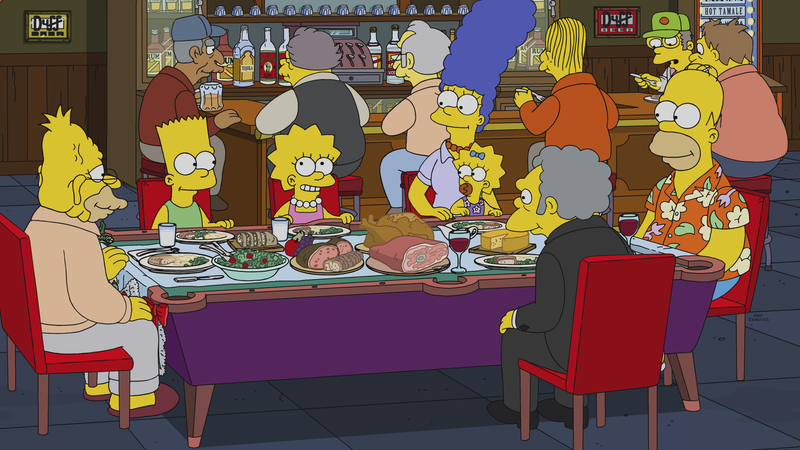 The 30th season of The Simpsons continues offering enjoyable episodes with the 8th episode of the season, “Krusty the Clown“, a must-watch brilliant episode that is a result of mixing clowns and TV recaps in the same episode. The episode opens with an editorial meeting for the Daily Fourth Gradian, where Skinner announces that the sales have gone down, so he hired a new editor, Billy, who announces the journal is going online only and assigns Lisa to be a simple TV recapper. At home, she asks Homer to help her do the job as they watch The Krusty the Clown Show, starting with the Itchy & Scratchy episode Death Shawarma-ed Over. Sideshow Mel notifies Krusty of the recap, and the low grades Homer gives it. Krusty gets really mad and tries to kill Homer with the car and they eventually struggle while driving, ending up in an accident. Bart arrives at the scene and is relieved Krusty is still alive, and takes him away (from police) to a circus, changing his name to Soggy the Clown, while Homer becomes famous because of his recaps. Krusty is a disaster in his new job and gets fired, but when one of the workers gets ill, he does a good performance and gets hired again. Unfortunately, the circus soon has to shut down because a terrible video (sold by the circus itself) got out. 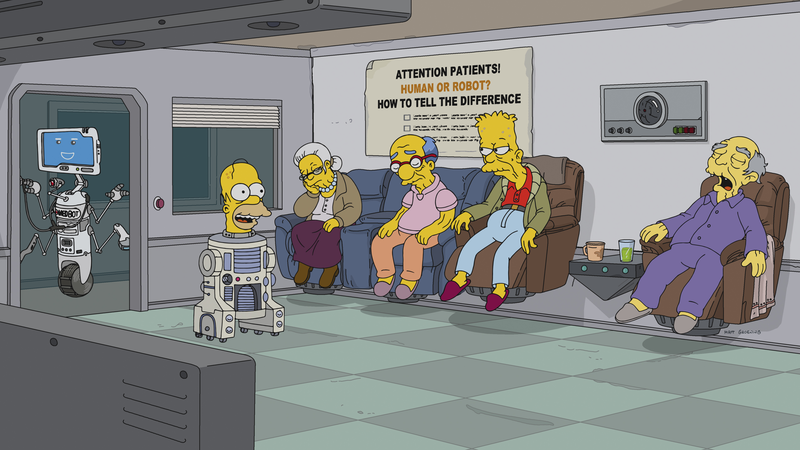 Meanwhile, Homer quits his job as a recapper when it starts ruinning his relationship with Marge, but then gets picked up by Google-Disney‘s CEO and brought to its office, where he is told that most of the current 400+ scripted shows are fake, as they just want to make people think they can watch them all and pay $13 to subscribe without seeing most of them. They want Homer to work for them making false recaps of the fake shows and he would have to give them a “B-” grade (“No one ever watches a B-minus.”-Homer). Homer instead decides to reveal that plan to the world by posting it online. The circus where Krusty now works closes down, but the manager needs just “50 grand” to reopen it. To mantain it open, Krusty offers to turn himself in for the good of the circus and the police gives the reward to the circus crew. At the court, the jury finds Krusty not guilty. The circus leaves Springfield and Krusty bids farewell to them, as he then returns to his show. This time the show gets an “A” grade, making the clown happy again. Meanwhile, Billy gets mad with the DFG for publishing Homer and Lisa’s article revealing the plan of Peak TV, which gets replaced with an article about cooking scrambled eggs. 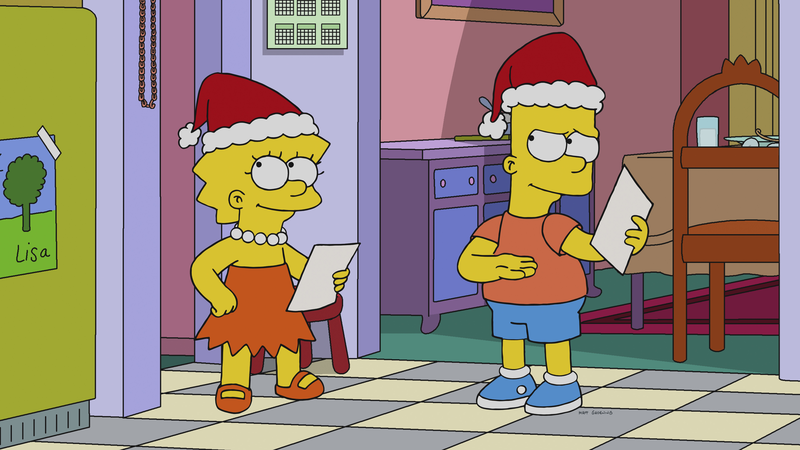 The episode, written by Ryan Koh and directed by Matthew Faughnan, delivers two brilliant comical stories in one episode. 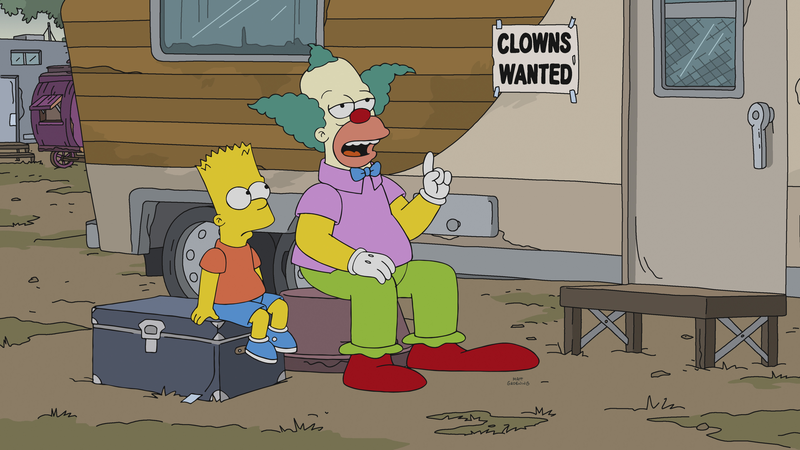 Krusty’s plot is a clever story as the clown has never been seen acting as… an actual clown (some circus-like performances have occurred throughout the past seasons, but he’s never acted as an actual clown to the extent he does in this episode. It should also be remarked that the story’s phasing is pleasantly written. The musical number is short but at least adds up to the story, as shows Krusty’s circus life. The other plot is yet another “Homer finds he’s good at some unusual job but has to quit when either he discovers an evil plan from the boss (or co-workers) of the job or the job puts his marriage in danger” plot, but there’s greatness on sometimes repeating some “plot templates”, as the way of filling/using those templates needs to be original and preferably have a twisty or non-template conclusion each time. In other words, there is nothing bad in sometimes using plot templates as long as the non-template parts of the story keep being original, funny and enjoyable. 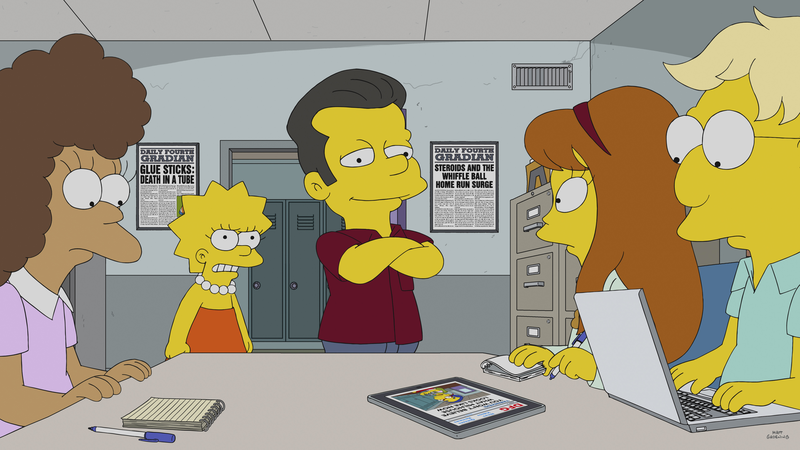 The episode also has the talented guest voices of Billy Eichner as Billy and Peter Serafinowicz as Google-Disney CEO. They both offer funny and well acted performances. 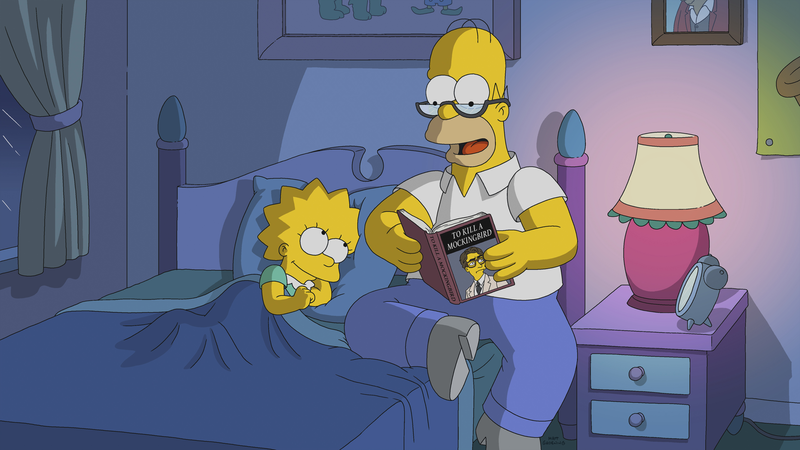 Also, Dan Castellaneta needs some mention for his voiceover performances of Homer and Krusty. The other regular cast also made great performances (as always). The episode is a glorious, enjoyable episode that keeps the high quality Season 30 has proven so far. It’s a truly must-watch episode. 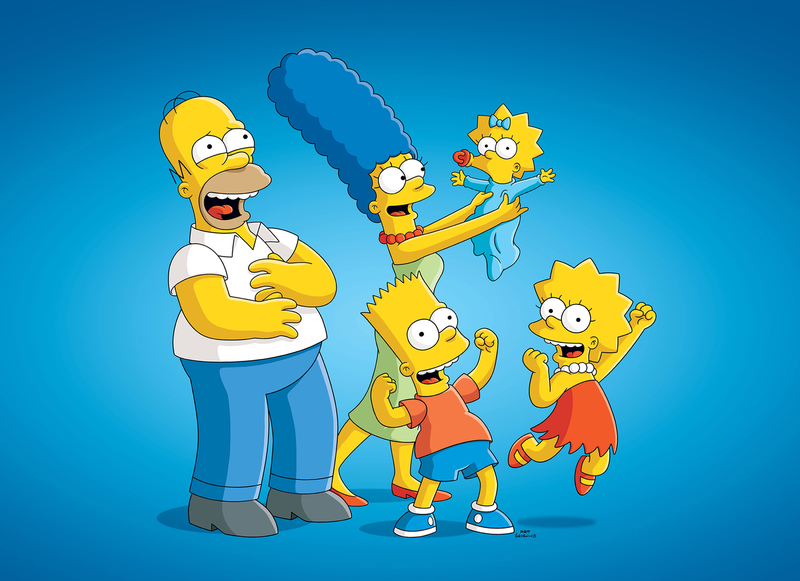 When Homer is brought to Google-Disney, a list of shows can be seen scrolling in a screen, and later a considerable number of TV shows are listed and their logos can be seen. The full list of shows referenced is already on our wiki. The woman with Comic Book Guy has a Firefly sweater on. Scuzzo mentions that he saw a circus do a Beatles tribute without permission. 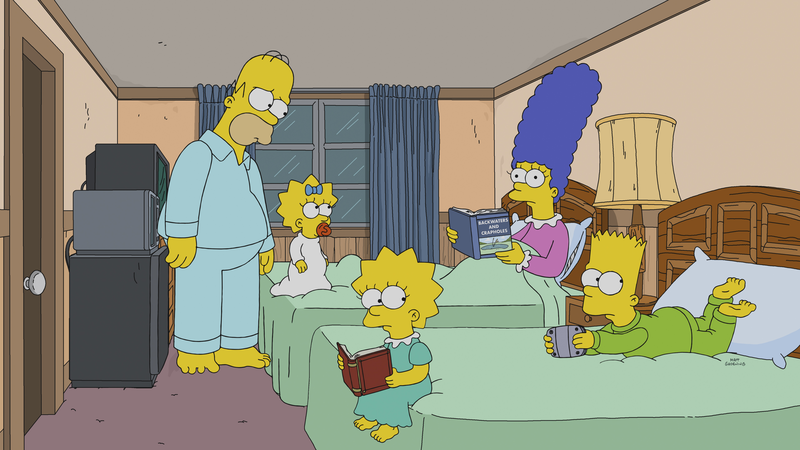 Patty says that Homer gave Outlander a “B-“. Krusty had Chris Pine on his show and did a Star Trek segment. “You see, if people subscribe but don’t watch, then we don’t actually have to make the shows. We just need viewers to believe they can watch them.” - Google-Disney CEO. “No one ever watches a B-minus” - Homer. “Why? 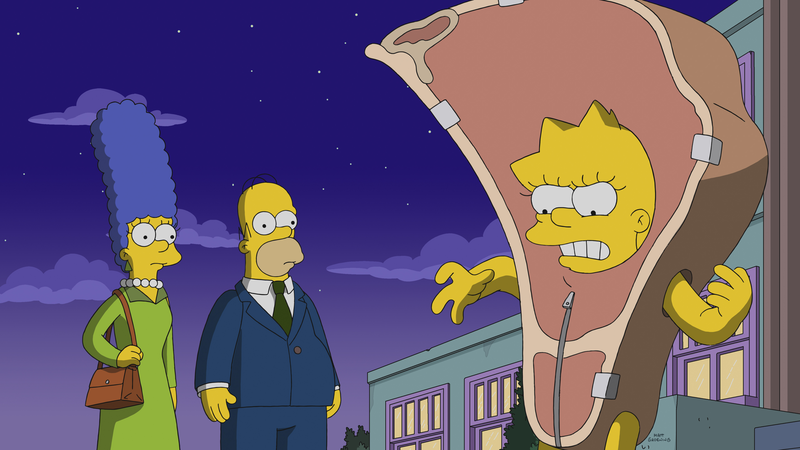 Is it season four again?” - Homer. 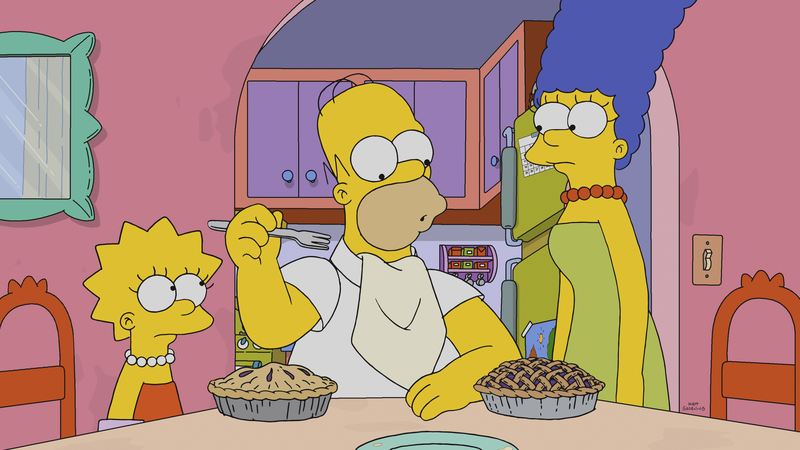 “Okay, I’ll just let this be… minus.” - Homer. The clowns of the circus are called: Skitters, Bumpo, Wiggles, Scuzzo, Clabby, Dr. Pickles, Mr. Bindle, Barrels, Drooly, Trembles, Blitzy, Handsy, Boobsy, Mr. Boobsy, Baby Boobsy, the Boobsy Twins, Ding-a-ling, Bing-bong, Ring-a-ling, Flip-Flop, Fiddle-Faddle, Flap-Jack and Scene Blow. 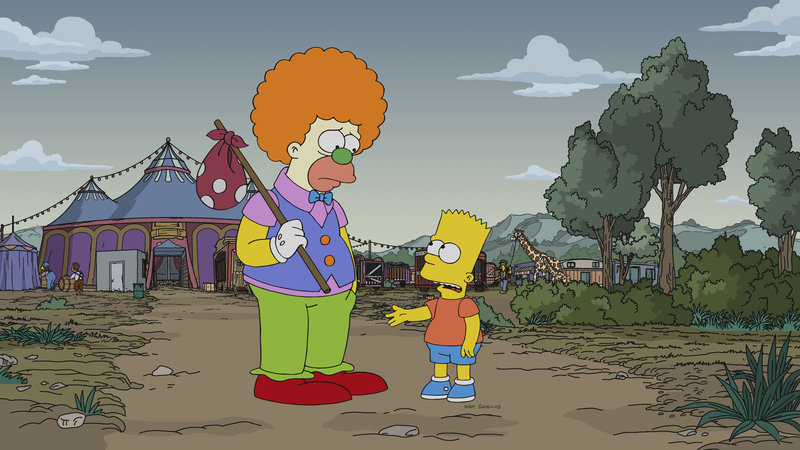 Sneak Peeks of the 8th episode of season 30, titled “Krusty the Clown”, have been released by FOX. The episode airs on Sunday, November 25, 2018! 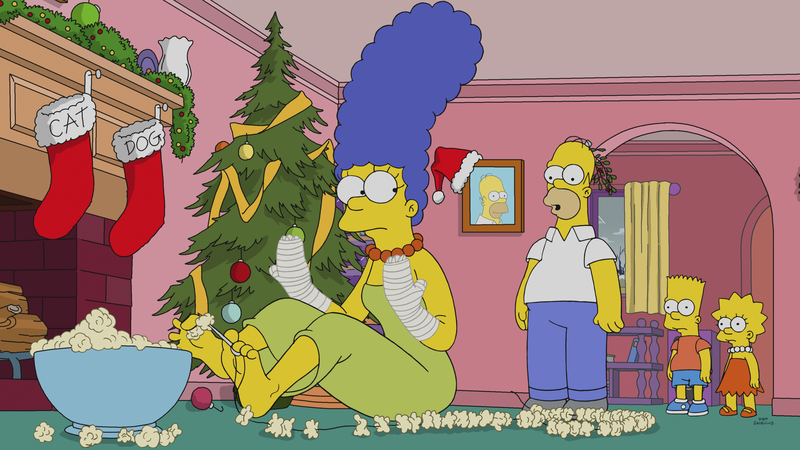 Season 30 News: Homer And The Kids Surprise Marge With A Christmas Vacation in December! Information about the plot for the episode “‘Tis the 30th Season“, which will air on December 9, 2018; has been released by FOX. The episode will be the 10th episode of Season 30. 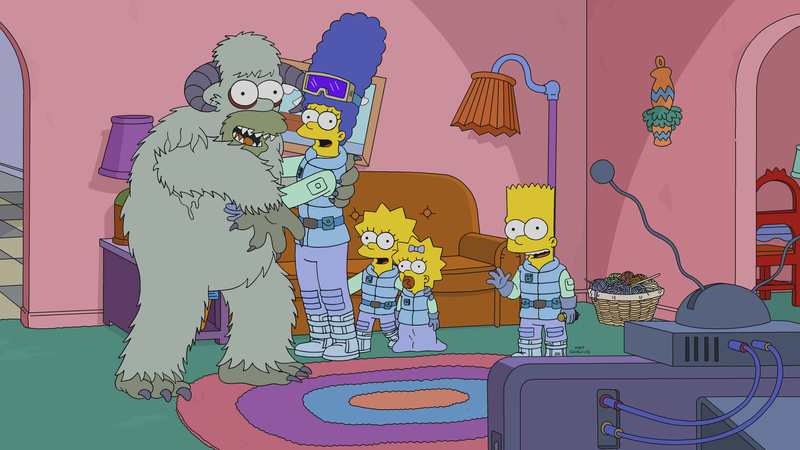 Guest stars for the episode include: Jane Lynch as Jeanie. Sneak Peeks of the 7th episode of season 30, titled “Werking Mom”, have been released by FOX. The episode airs on Sunday, November 18, 2018! Comic book legend Stan Lee died today, aged 95. Stan Lee was best known as editor-in-chief of Marvel Comics. He also cameoed in many Marvel Comics films. 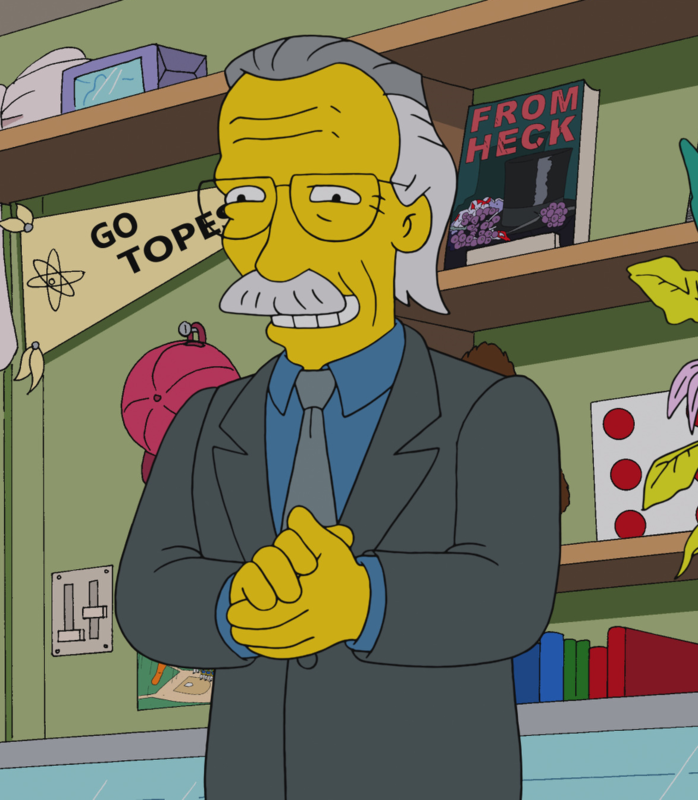 Stan Lee has had multiple guest appearances in the show, each time as himself, in the season 13 episode “I Am Furious (Yellow)“, the season 25 episode “Married to the Blob” and the season 28 episode “The Caper Chase“.